The Northern Mariana Islands are also known as the Commonwealth of the Northern Mariana Islands (CNMI), and they are US territory. As long as you avoid the hurricane season, which is August or September through January, you can enjoy a lovely tropical vacation, but not in the sense you would think. The climate is tropical, but the Northern Mariana Islands do not have the beaches you may think of. Not all of them, at least. Some are beautiful to watch, and you can bathe in the Ocean, but others do not have the white sandy beaches you may desire. However, there are a few things you should be aware of before you travel to the Northern Mariana Islands. When you plan your vacation, one of the first things you need to check is whether or not you require a visa to enter the Northern Mariana Islands. Since the Northern Mariana Islands are US territory, you need to check out the US visa policy. Of course, some nationalities are visa exempt, and they can travel to the islands with just their passport. Other nationalities are a part of the Visa Waiver Program, which means they too can go to the Northern Mariana Islands without a visa. 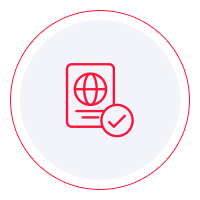 However, travelers from countries that are on the list of the Visa Waiver Program are required to get an ESTA, which is an electronic travel authorization. Lastly, nationalities who are not in the categories above must apply for a visa, at the nearest US embassy or online, whichever is the case. You can go to the Northern Mariana Islands by plane, and land in Saipan. You can take a flight from Japan, Taiwan, or South Korea. You can get on a plane in the US as well, but you must connect in Guam. The islands can also be reached by boat, but only as long as you tag along with a yacht, a cruise ship, or a military vessel. There are no scheduled boats for the Northern Mariana Islands. As to what you can see on the Northern Mariana Islands, you have multiple options. What you may already know is that the islands have many World War II bunkers. Memorials can be found in various places on the islands, including the one in the north of Saipan, where Japanese soldiers as well as civilians who feared capture committed suicide by jumping off the cliffs. If you are looking for something happier, you can go to the beach. The lovely weather, the perfect temperature, and the white sand can help you relax and enjoy your vacation. Plus, you cannot go to the Northern Mariana Islands and to scuba dive. The coral reefs are magnificent, but since the islands were fighting scenes in the Second World War, you can expect to see shipwrecks on the bottom of the ocean as well. Some people go there just for that attraction, so if you are interested in this kind of thing, the Northern Mariana Islands can provide that for you. As you can imagine, the official language in the Northern Mariana Islands is English, so you should manage more than fine while there. Some other languages, such as Chamorro and Carolinian, are also common, but different dialects are present as well. While on the islands, you must try local Chamorro food, but you can also find Thai, Mexican, Japanese, and many other cuisines. If you want, you can eat KFC, Pizza Hut, and Taco Bell too. Just in case you miss the fast food you have at home. Accommodation is easy to find. There are hotels for every budget. If you can afford it, you can enjoy luxury resorts. Some have very expensive restaurants, but the food is incredibly delicious. As far as safety is concerned, apart for some break-ins, there is not much crimes activity on the Northern Mariana Islands. That is why you should not pack too many valuables when you go, and you should carry the ones you have with you at all times. No vaccines are necessary before your travels. The bottom line is that the Northern Mariana Islands should be an option for your vacation. The location is remote, it can provide both fun and relaxation, and you have plenty to do on the islands.